Savannahs form one of the largest habitats in the world, covering around one-fifth of the Earth's land area. They are mainly to be found in sub-Saharan Africa. Savannahs are home not only to unique wildlife, including the 'Big Five' – the African elephant, rhinoceros, Cape buffalo, leopard and lion – but also to thousands of endemic plant species such as the baobab, or monkey bread tree. "What's more, the savannahs play a significant role in the global carbon cycle and therefore affect the planet's climate cycles," says Victor Odipo of Friedrich Schiller University, Jena (Germany). 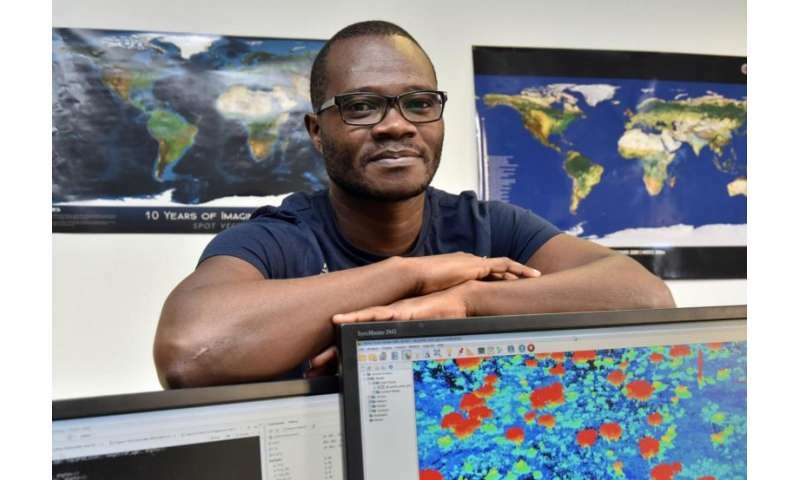 The ability of the savannahs to store the greenhouse gas carbon dioxide is ultimately determined by the amount of aboveground woody biomass, adds Odipo, a doctoral candidate at the Institute of Geography's Remote Sensing section. So far, though, it has been difficult to measure this important indicator, with current climate models relying on rough carbon estimates. However, a team of geographers from the universities of Jena and Oxford, and from Germany's Federal Institute for Geosciences and Natural Resources, has now succeeded in establishing a methodology that enables them to measure the aboveground biomass of the savannahs and record even minor changes in the ecosystem. They have presented their results in the specialist journal 'Forests' (DOI: 10.3390/f7120294). These results cannot be used to create new climate models. "We also need reliable data to monitor changes in the savannah ecosystem," says Victor Odipo. He points to a surprising incidental find: the researchers' measurements showed that the biomass of a substantial part of the study area in Kruger National Park is declining from year to year. "We didn't expect that," says Odipo, "given that this is a nature reserve." It turned out, however, that these changes – unlike those in most unprotected areas – were not primarily the result of human activity, but rather the work of elephants, which bring down a large number of trees.